England women’s manager, Mark Sampson, who made a racist jibe about Ebola at Eniola Aluko and her family in Nigeria, has been sacked because of inappropriate relationships with female players he coached at Bristol Academy. Recall that last month, Eniola Aluko, the elder sister of Nigeria striker Sone Aluko accused England women’s head coach Mark Sampson of subjecting herself and her Nigerian family to a ‘racist’ jibe about the Ebola virus. The claims follow allegations in May 2016 that she was bullied by Sampson and that he made a remark with ‘racial connotations’ to another mixed-race player. But Mr. Sampson and the Football Association denied Miss Aluko’s accusations. 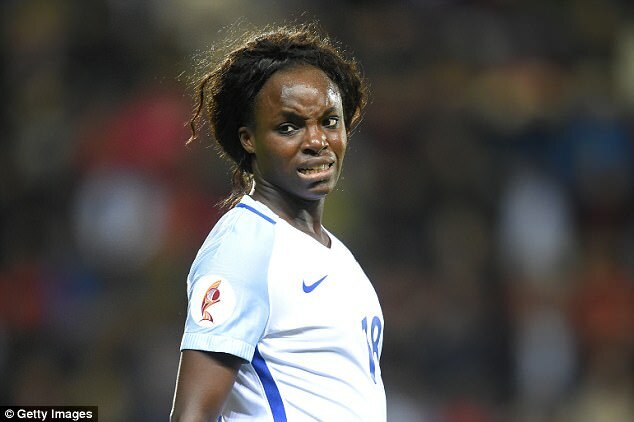 Eniola Aluko who plays for Chelsea Ladies was later dropped from the England squad after the allegations came to light. FA chief executive Martin Glenn in a statement on Wednesday confirmed that the coach has been sacked from his job after receiving the full report into accusations against Sampson in March 2014 of inappropriate relationships with more than one female player at Bristol Academy. Glenn also added in the statement that the former Bristol Academy coach is being investigated for the racist jibe about Ebola at Eniola Aluko and her family in Nigeria. Read the full FA statement below.. The Football Association can confirm that Mark Sampson's contract as England Women's Head Coach has been terminated with immediate effect. Prior to taking charge of the national team in December 2013, Mark was manager of Bristol Academy. In 2014, safeguarding allegations were made against him about his time with Bristol. The safeguarding assessment was that he did not pose a risk working in the game. However, the full report of that investigation was only brought to the attention of the current FA leadership last week and it is our judgement that it revealed clear evidence of inappropriate and unacceptable behaviour by a coach. It is on this basis that we have acted quickly to agree a termination of Mark's contract. 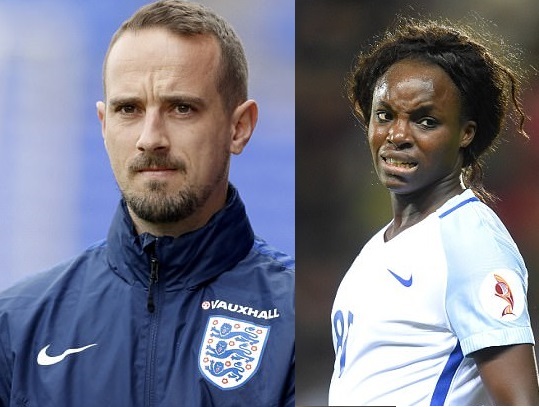 In respect of investigations into specific allegations made by Eniola Aluko in 2016, The FA stands by the findings of the independent barrister Katherine Newton's investigation. Mark Sampson has denied all of the accusations put to him and no evidence of wrong-doing was found. We will continue to support the independent investigation as it reviews the recent evidence presented to it and publish any new findings and recommendations.